The summer festival season is upon us, and plenty of us will be looking forward to a day or two (hopefully in the sunshine) enjoying live music and arts. But, just how sustainable is your festival? Many festival organisers now state that they are committed to reducing their event's ecological impact and being as environmentally sustainable as possible. 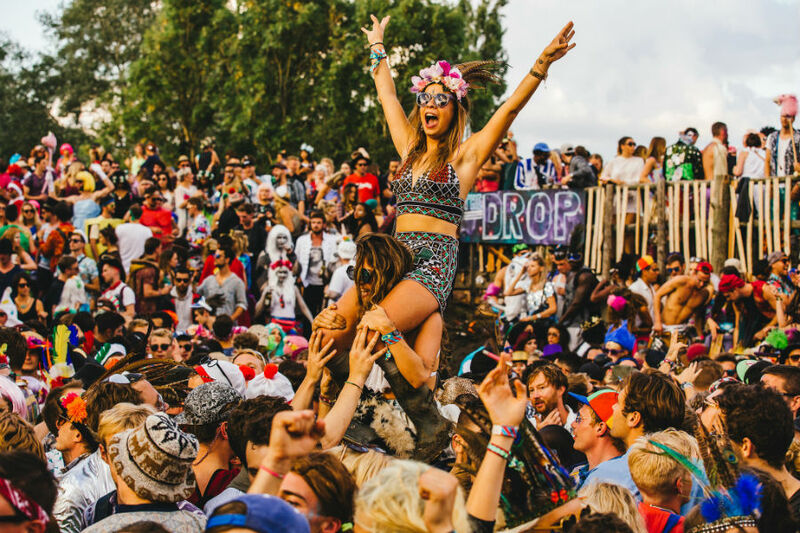 So, where does a festival organiser start? Glastonbury Festival composts between 150 to 200 tonnes of food waste each festival — the majority of it is biodegradable packaging. Bestival goes further, providing 100 composting toilets on festival grounds. At some festivals, money – in the form of bottles and can – can be found underfoot. Festivals like Shambala, Reading, Leeds, and Bestival are gamifying the waste game by charging deposits for cups and bottles. Collect enough discarded empties and bring them back, and you could get some merch or a fresh beer. This extends out to the traders, partners, organisations and event-goers involved in the particular festival to reduce, reuse and recycle their resources. Working together, the aim is to: minimise use of plastic packaging e.g. plastic bottled water, plastic bags, plastic knives and forks; minimise waste – working with traders and partners to judiciously plan resources; and maximise recycling opportunities e.g. for traders’ wet waste, event-goers’ waste. U.K. festivals, which are held in farm fields far away from the grid, burn 4.9 million litres of diesel each year powering the stages and vendors. A recent survey has revealed that the percentage of UK festivals actively working with their power suppliers to increase efficiency and reduce fuel doubled from one in four to half of events between 2016 and 2017. On average, festivals use 6 litres of diesel — for powering all those remotely located stages and other amenities — per person per day! There are a number of positive shifts in power management for the 50 UK festivals surveyed: 58% started monitoring generator loads in 2017; 20% said they are using sustainably sourced fuel; and 20% are now using hybrid technology to help cut fossil fuel use, costs and associated emissions. Shambala has put special effort into tracking and cutting its emissions: It's powered by 100 percent renewable energy, waste vegetable oil, wind, and solar. And it cut its emissions from 73 tonnes in 2009 to 37.5 in 2015. Attendees and artists' travel to festivals in the UK are estimated to produce 79,000 tonnes of Carbon emissions! The percentage of festivals promoting sustainable travel to their audiences has significantly risen – from 28% of events in 2016 to 80% in 2017. With audience travel accounting for up to 80% of the average UK music festival’s CO2 footprint, this is a great place to start in tackling environmental impacts. In 2017, 25% of participating festivals offered travel carbon-balancing for their audiences to address travel emissions through the charity Energy Revolution. When it comes to eating sustainably at a festival, all the same real-life principles apply: Organic, local, and vegetable-focused meals are the least environmentally damaging. And festival goers are starting to demand it! According to a recent survey, 72 percent think festival organisers should ban the sale of overfished seafood that has been caught using damaging methods. And 83 percent would choose free-range eggs if given the choice, and 80 percent would prefer to eat meat that was raised humanely. Some festivals go above and beyond. For example, Sunrise Celebration, which is considered by some to be the leading sustainable festival in the U.K., asks that 85 percent of the ingredients from vendors be organic. Even the alcohol is 80 percent organic and, wherever possible, locally produced. The Green Man Festival in Wales sources its beer and cider solely from Welsh breweries, and its wine comes from Europe. Glastonbury gives priority to vendors who source fair trade, local, organic, and British ingredients, plus all tea, coffee, and sugar on-site is fair trade. The Shambala festival is removing meat completely from the menu, hoping to show attendees it's possible to live (and party) without meat. And every year they reward the greenest vendor with a free space at next year's festival. Festivals are now demonstrating a greater commitment to tackling single-use plastics. We can each support this by avoiding the use of plastic drinks bottles, instead opting to bring a reusable water bottle that can be refilled with water at the water points. Some festivals, e.g. Bestival and Latitude, are now requiring vendors to use compostable disposable plates and cutlery. Why not take your own and reuse them. Transportation to and from the festival comprises up to a whopping 80 percent of the total emissions for the event. So, organisers need to make it easy and rewarding to go the low-emission route. Ideas include: offering car-sharing incentives such as the opportunity to win backstage passes, meals, merchandise, and even VIP tickets for life; providing bus services and reduced ticket prices for those using them; installing a free bike parking lot, along with a dedicated shuttle; offering attendees the chance to purchase carbon credits to offset their trip to the festival. Did you know that festivals produce the equivalent of over 2.7kg of waste per person per day — way more than you put in your own rubbish bin at home or at work! Waste accounts for about 35 percent of a festival's on-site carbon footprint. But anywhere from 80 to 90 percent of festival attendees say they would separate their waste if facilities were provided. In total, U.K. festivals produce 23,500 tonnes of waste every year, and recycling rates are typically below 32 percent. It doesn't have to be this way. Festivals large and small all over the world are experimenting with ways to cut down on waste, support local and organic agriculture, and lower their carbon footprint. So, dispose of your waste in the correct bin to ensure that it will be recycled. Spread the word and encourage others to follow our suggestions and, importantly, enjoy the festival scene with a clear eco-conscience! It's an opportunity to use such events to promote a green, inclusive culture; while ensuring that it is a safe, welcoming and creative place.